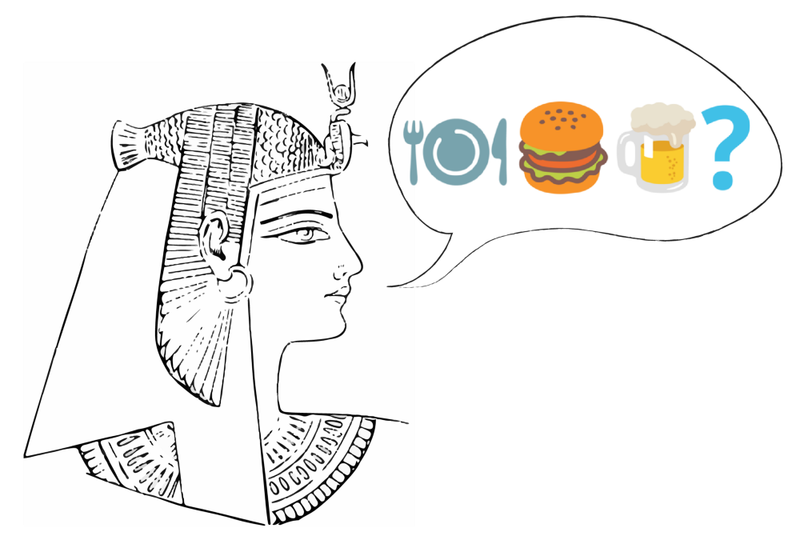 What heiroglyphics, emoji, and stickers have in common. Now, linguists may object to the classification of emoji as a logographic writing system. That’s because emojis are actually ideographic — that means that each emoji represents an idea, rather than a specific word. But, as stickers become more prevalent and start to replace the simpler emojis, we move closer to a true logographic language, where each symbol represents not an idea, but a word phrase. Users of chat apps like Line and wechat will be particularly familiar with this — when a user writes a sentence, they can choose to replace any word with a sticker that correlates directly to that word. If the sentence is viewed in a push notification a user might see the words, want to (eat) with (me)?, whereas the program replaces those words with their picture equivalents.